I've just been reading the Mark Jenkins column in this months Betting Insiders. Mark is the guy who makes a £1,000 per week from arbitrage betting and he shares strategies in the Betting Insiders every month. Almost as an aside this month he mentioned a Paddy Power offer he has been taking advantage of. I can't see the offer at Paddy at the moment, but I think that's because of the International break and hopefully it will be back at the weekend. The offer is money back in certain football markets if the game ends in a draw. What Mark has been doing is to make a bet in the correct score market, choosing an outcome that is close to the Betfair price. There will be a small loss if the match is not a draw but if it does finish in a draw you get back your stake which is all profit minus the small loss made with the difference in prices between Betfair and the Paddy price. To guarantee a profit whether the match finishes in a draw or not then lay off the draw at Betfair. More and more of the arbitrage bettors profit these days is made by exploiting offers, like this. It could well be a losing day for the Lay Debutants today, because the only selection is an 8/11 chance, so I'll leave it to you whether you lay that one or not. Also note that it only qualifies as a debutant because it has no UK runs, but it has run in France!! 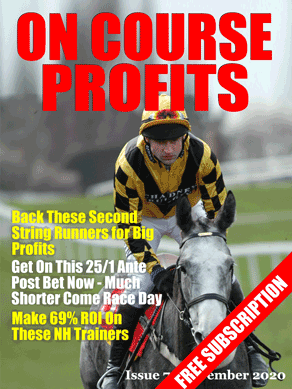 The selections have had a huge surge of profit over the last few days so maybe this is a leveller. How can Winterwell be a Lay debutant when she has already had 3 runs???? Horse Race Base that finds the selections only uses UK races to determine debutant status, I’ve added a note to the post to clarify.